Hacking a manufacturing facility’s control system might sound like the pages of a comic book. A larger than life villain is controlling robots and machines in a facility creating a product to advance his agenda. The superhero, in this case your friendly facility IT/OT guys, come to the rescue. The hero stops the villain, and all ends well. In reality, a security breach like this severely impacts the company economically, causing people to lose their jobs and the villain is likely never caught. Not as romantic as what you were thinking, huh? Security breaches can have even more severe consequences. If you are in markets such as food or pharmaceutical manufacturing, the consumer is also at risk. A manipulated batch of pharmaceuticals or a tampered with food product could be a national epidemic. If that happens, good luck repairing your brand’s reputation. The manufacturing industry has migrated towards ethernet network protocols. It is easier than ever to connect network systems, which comes with both benefits and drawbacks. Data availability is better than ever, giving insights into your system and creating the ability for more complex control procedures. Unfortunately, interconnectedness also makes a hack easier to spread to other parts of your control system. We could go on endlessly about the intentions and consequences of bad actors, but they can be summed up in a few statements. Hacks will do nothing positive for your organization. The intention of hacking a control system is most likely to set your organization back significantly. Hacks can come from virtually anywhere with no warning. It is most responsible to assume that everyone could be a bad actor and to cover all your bases all the time. Frustratingly, hackers are rarely found or prosecuted. Creating a cybersecurity program requires an understanding of the difference between how information technology (IT) systems and operation technology (OT) systems operate. Therefore, both systems will require different approaches to security maintenance and rectification as they are fundamentally different systems. This means that hacks have different consequences to your organization depending where they occur. OT systems are structured to differentiate network systems used for control and the IT systems controlling networks used for business-side operations. Both OT and IT have the same basic infrastructure, however the applications being run on the networks are quite different. IT networks focus on data security as their number one priority. New software patches and software upgrades can be done overnight or relatively quickly throughout the day. If there is a breach on a device, IT is able to isolate it from the rest of the system without major setbacks in system wide productivity with relative ease. IT networks are easier to maintain as there are many opportunities for down time. If a computer’s security is breached, taking that one machine offline does not typically cause major problems in other parts of the organization. IT has relative freedom to preform maintenance and to react to issues without causing sever operational obstacles. OT cybersecurity maintenance varies depending on operational requirements. In operations that do not run full time or that have scheduled downtime, maintenance is not much different than IT. If the operation runs 24/7 good luck finding downtime. With modern control systems, the shutting down of one portion will shut down a majority, if not the entire manufacturing process. During 24/7 operation, maintenance of the cybersecurity system is difficult if not strictly reactionary. Reboots and installations are not within the operational plans as they are not money-making activities. With the role that control systems play in modern manufacturing environments it is a constant battle to find time to implement and maintain security. Simply installing a new program or security system will require validation, which will never be quick enough for production planners. Even in the case of a breach that is or has the potential to spread, there will be push back on shutting the line down. Shutting the line down is never a desirable course of action. Responding to infiltrations and threats is painful. Prevention is the name of the game. Any way you cut it, industrial OT cybersecurity is difficult. It is difficult to find time and resources and difficult to respond to attacks. In addition, it is difficult to get buy-in for security operations because few decision makers understand the level of importance and the required processes. An outside consultant may remove the glazed eyes of decision makers to help realize what it takes to protect their assets, people, and products. A prime opportunity to further secure your plant control system is when swapping old components for new components. Currently, PLC5 and similar technologies are going by the way side for more up to date and capable PLC formats. 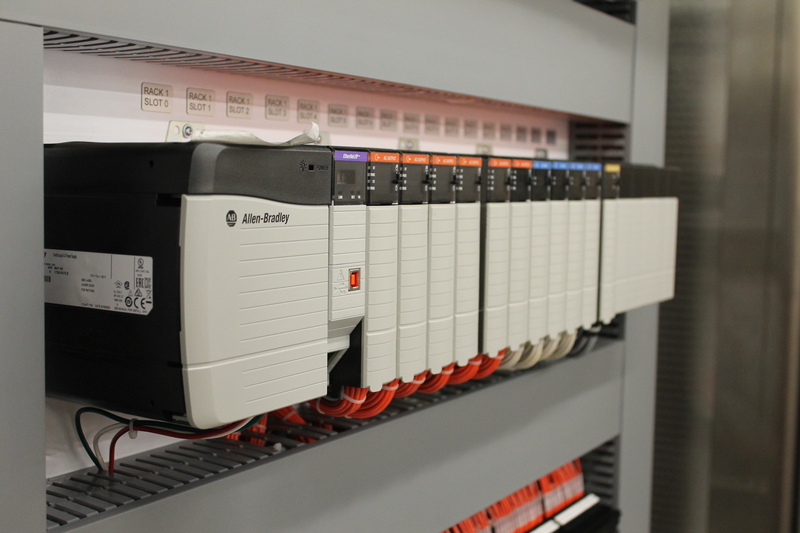 The new PLC formats are not just modernizing your plant’s control system, they are preparing them for the future. These new PLCs are ushering in the era of on-machine devices that will expand control systems’ capabilities significantly. Old PLC platforms that are becoming obsolete will no longer have software patches and production will cease. This obsolescence is the catalyst for the replacing of old hardware. Keeping this old hardware will put your operations and production at significant risk with costly consequences. When these components fail, they will be increasingly more expensive and difficult to find, not to mention the extended downtime. If your obsolete PLCs were to be hacked, you basically would have no option but to replace them. However, waiting until you are hacked to replace means that you will be waiting until there is an engineering plan developed, parts arrive, installing the solution and coordinating all of this while your plant and people sit idle. This article is not meant to scare or intimidate you, rather to state the risks and realities that your facility faces. Cybersecurity threats are targeting control systems, specifically obsolete control systems, and OT teams are tasked with their defense. Difficulties including finding downtime and resources challenge OT teams in “no-downtime” plants. Thus, proper education and recognition of risks is a starting point for receiving buy-in to protect company assets. The actual replacement of obsolete controls and PLCs is than the next step to achieving a more secure and safe production environment.